Just Add Glitter: Social Studies Interactive Notebooks and Where Have I Been? Social Studies Interactive Notebooks and Where Have I Been? Where have I been and where did the last year go? I honestly think I blinked an eye and the last school year happened. 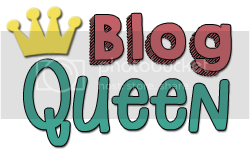 It has been almost an entire year since I touched my blog and did nearly anything on the TPT front. It wasn’t entirely intentional and I didn’t mean to stay away for so long, but it happened and I’m ready to get back in the game and get the ball rolling again with an entire year worth of interactive notebook pages in social studies! I will get to that in just a little bit, but I first wanted to touch base on what has been going on in my corner of the world. I knew that I wanted to incorporate interactive notebooks into my classroom last year and had even purchased a few wonderful sets from CreateDream Explore, Heather Harris, Live Laugh Teach First Grade, and BrightConcepts 4 Teachers. (This doesn’t include new ones I’ve bought for this school year!) I wanted to try and tackle interactive notebooks with all of my subjects. It’s not something we do every single day, but normally 2-3 times each week. 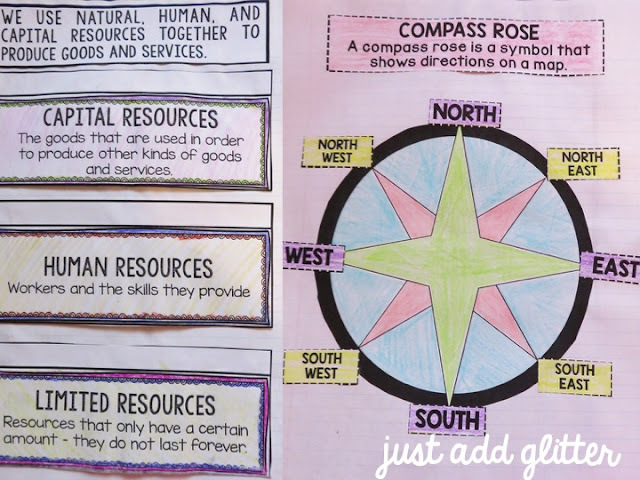 Using a five-subject notebook makes it extremely easy to keep everything in one place! There is a section and tab for each subject – that gives us plenty of space to add in side notes or practice work within our interactive notebooks! In the beginning of the year it was a little tricky and bumpy. There was a trial and error process to getting everything done correctly, but thanks to document cameras, our interactive notebook time sailed along smoothly before November even had time to say hello! It was around that time that we began planning surgery for my youngest niece. I say “we” because I am extremely close to all three of my nieces and love them as if they were my own. The youngest, Lillian (4), and the oldest, Kloie (7), both have epilepsy. Lillian also had Chiari malformation – a condition in which brain tissue extends into your spinal canal due to an abnormal growth of the skull that pushes the brain downward. When you look at these beautiful children, you think to yourself, “How can you be anything but perfect?” Kloie briefly had a scare with this same condition when she was around 2, but luckily surgery wasn't needed. Lillian, however, did and was going to have surgery in the beginning of February to correct the issue. The process of doctor visits until then was intense and stressful on everyone. On one hand, I was facing the most demanding school year of my career thus far, but on the other I had so much going on with my family at home that taking a step back from my TPT life was an absolute must. In the end, Lillian’s surgery went well (although terrifying while waiting) and despite a few bumps in the road, she’s recovered fine. We still aren’t seizure free, but we’ll find out more after her six-month check up next month. Shortly after Lillian’s surgery, my school had a weeklong winter break - HALLELUJAH! I had never traveled overseas before, so my girlfriend and I decided to take a week long trip to Dublin, Ireland! The weather was perfect – sunny every day (very odd for them) and in the low to mid 60’s. It was perfect for a sweater and exploring the city. 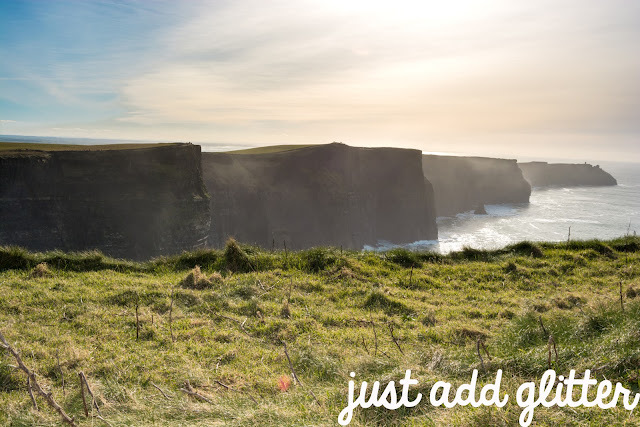 We did take a day trip to the other side of the country to see the Cliff’s of Moher and I can honestly say, it was a life changing view. I want to go back and spend days there exploring. A few hours just wasn’t enough. I've debated briefly with tossing some of the pictures I took (like the one above) up for people to use if they wish. They turned out wonderful, but I don't know if the interest would be there. Taking pictures is just a fun thing right now. 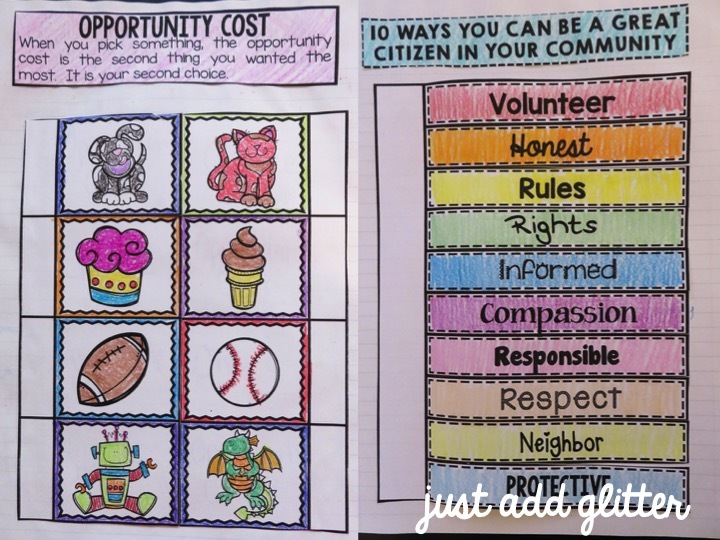 During the school year I worked on these interactive notebook pages as we went along. As much as I wanted to chug them all out, I wanted to try them out first and take time to tweak anything that might not have gone over well. My class really enjoyed doing them and I found that it only sparked their interest in what we were learning about. Anytime they can use scissors and glue, they are excited and ready to go! These turned out so great! Despite taking the year off of TPT and a year to get these done, I am really happy with how they turned out and I hope you will be, too! I’m so happy with how it turned out that I made a little freebie to go along with it! 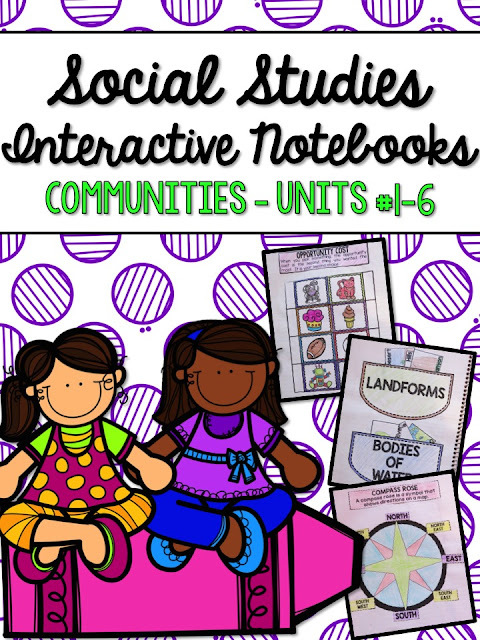 It includes 2 of my personal favorite interactive notebook activities from the set so you can try before you buy! Follow the link, download, and enjoy!! !